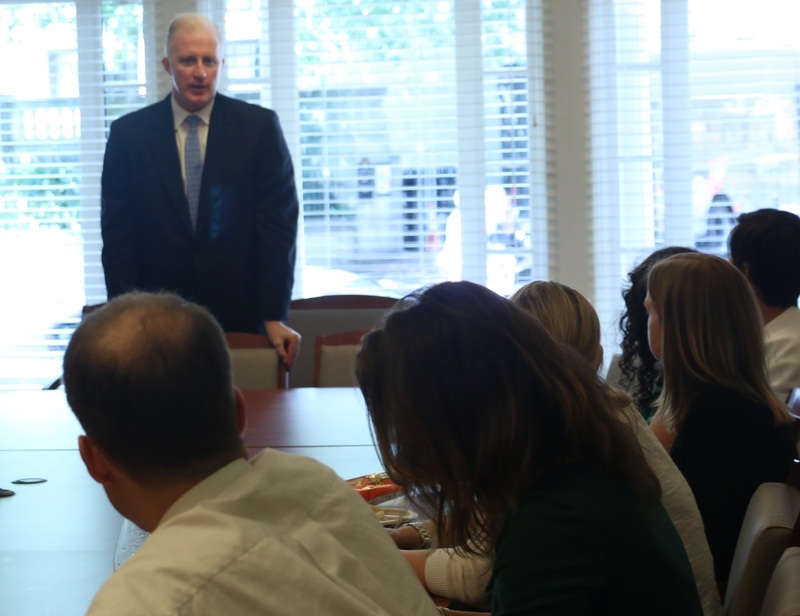 Gene O’Flaherty, the Corporation Counsel for the City of Boston, spoke with PILP 11 last week about leadership. Last week, PILP 11 had the privilege to welcome the new Corporation Counsel for the City of Boston Eugene L. O’Flaherty to 16 Beacon Street. Counselor O’Flaherty took time to talk about his career path, professional goals as Corporation Counsel, and career tips. Counselor O’Flaherty knows a thing or two about being a successful leader. He was appointed to the role of Corporation Counsel by Mayor Martin Walsh in February 2014 after serving 17 years in the Massachusetts House of Representatives for the Second Suffolk District and practicing law for 20 years. He was just 26 years old when he was elected to the House of Representatives, and he was re-elected by his district nine times. Counselor O’Flaherty ended the meeting by encouraging the PILP class to become involved in our great city. Posted on September 4, 2014, in Public Interest Leadership Program and tagged Public Interest Leadership Program. Bookmark the permalink. Leave a comment.